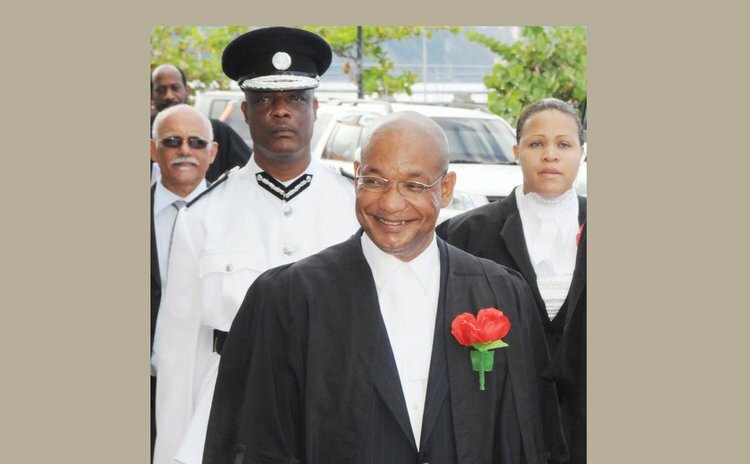 Ossie Walsh, the Registrar of the High Court, has neither confirmed nor denied reports that he may have accepted an offer from Prime Minister Roosevelt Skerrit of the Dominica Labour Party (DLP) to contest against Joshua Francis, the Roseau South MP of the opposition United Workers Party (UWP) in the upcoming general elections. "As an officer of the court I won't comment on anything political…I have a judicial responsibility and as Registrar that is my responsibility and that is where it is at this time. It must also be noted that I am a citizen of Dominica," Walsh told the Sun. But well-placed sources in the constituency report that Walsh has been "asking people in the Roseau South Constituency to join his team." Walsh is a former parliamentary representative for that area having contested and won in 1990 (4254 to 2873 votes) and 1995 (4974 to 3325) General Elections on Dominica Freedom Party (DFP) tickets. This is second time in 18 months that there has been speculation about Walsh's political reincarnation. In May 2017 the Sun reported that both the ruling DLP and the opposition UWP were looking closely at Walsh as a possible candidate for Roseau South. "What you are hearing is what I am hearing," Walsh told the Sun then. "I don't know what is going on…this is ridiculous lots of talk going on and I am just listening. People on the ground are encouraging me, nothing concrete, it's all about people driven that I reenter politics. I am just doing my work as a lawyer. I have been there and done that successfully. I am not saying that it's impossible to return…especially if the conditions are right." He continued: "One must never say never but as of now, I have no proposals before me from anyone. People from both sides of the fence have been talking to me." He denied allegations that he has been in discussion with Prime Minister Skerrit on the matter. "I have never spoken to the PM but I have spoken to other operatives of the DLP and the UWP; they are all my friends. I have not expressed any interest in returning, people are more interested in me returning and I see nothing wrong with that. For now, I am comfortable in my job and I am doing my work dutifully," he said. In 1998 Walsh left politics to pursue a law degree and thus he did not contest the 2000 general elections. Walsh returned to Dominica in 2003 but since then he has stayed away from active politics. Meanwhile, DLP sources in the Roseau South indicate that "there is rumbling, unhappiness and discontent within the DLP branch in that constituency." "The DLP people in Roseau South have lost confidence in Jahsiah Benoit who is regarded as the DLP caretaker. I can also tell you that Shekira Lockhart is very interested in running for the DLP all because people want a new candidate," the source said. When contacted Lockhart did not deny her interest in contesting that seat for the DLP but refused to say anything further on the matter. In the meantime, Ambrose George whom Francis defeated in the last general elections remains the chairman of the DLP constituency branch in Roseau South and according to our source George "is not giving up."